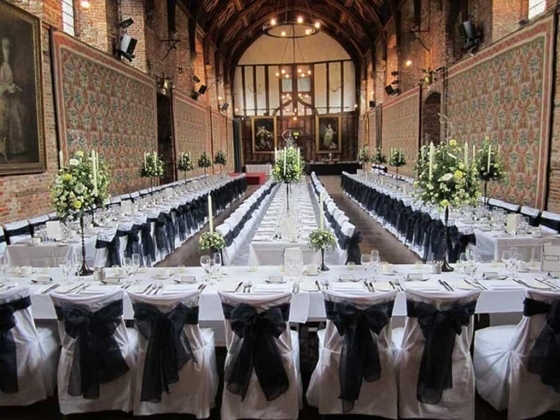 Hatfield House - An elegant wedding venue in Hertfordshire, surrounded by glorious gardens and stunning views, the Old Palace & Riding School are set within the magnificent grounds of Hatfield House, home to the 7th Marquess of Salisbury. 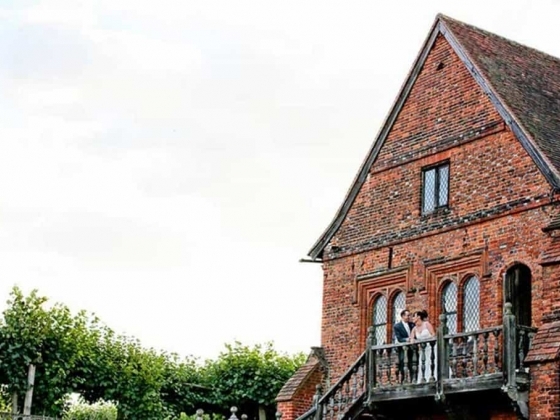 Whether you are looking for an intimate wedding or a large celebration, Hatfield House, Hertfordshire is the perfect setting for the wedding of your dreams. Charged with history, both of our elegant wedding venues provide a unique atmosphere and magical backdrop for your special day. 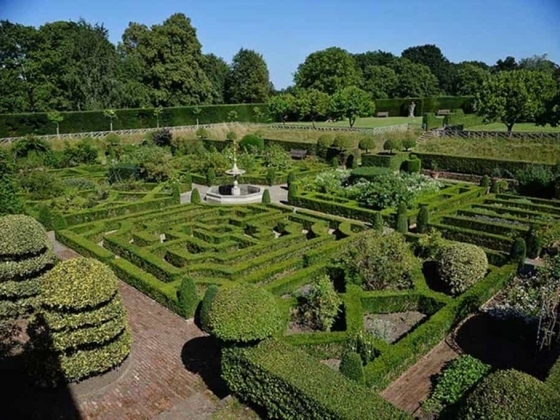 You may choose from the magnificent Grade I listed Old Palace, where Elizabeth I held her first Council of State, or the Riding School with its stylish contemporary interior, flooded with natural light. The choice is entirely yours. The stunning Old Palace can accommodate up to 200 guests, whereas the Riding School is more intimate and is ideal for weddings between 60 and 120 guests. Both venues are licensed for civil ceremonies and can be arranged to reflect your personalities and create the perfect atmosphere for your exchange of vows, wedding breakfast and evening celebrations. The Old Palace is a Grade I listed building built in 1485. 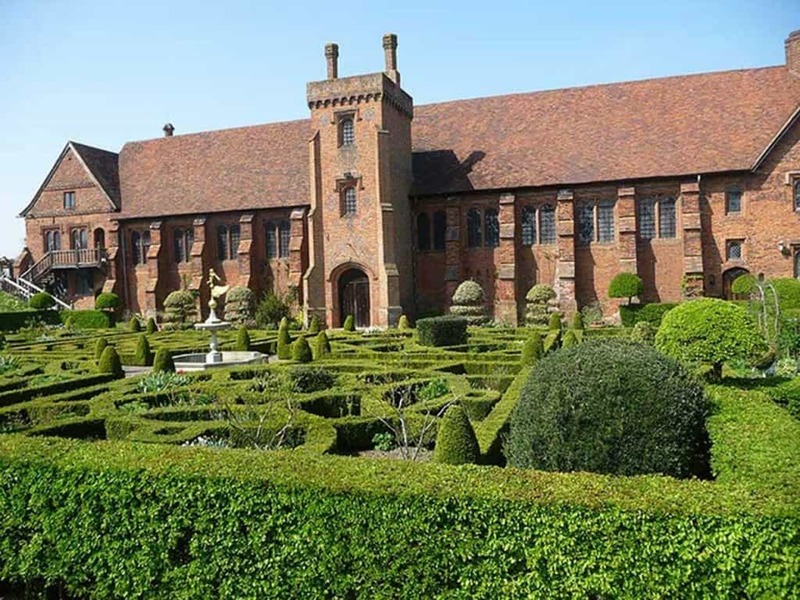 A historic venue being most famous for where Queen Elizabeth I held her first council of state its medieval brickwork, beautiful wall hangings and stunning gardens makes it a perfect setting for your fairytale wedding. The Riding School blends historic features with modern architecture to offer a contemporary alternative. Its glass roof allows the room to be flooded with natural light and the mezzanine level adds to the style of this unique venue. Hatfield House Hospitality prides itself on offering a high standard of catering and a variety of menus to cater for a range of tastes. Dietary requirements can be catered for and Chef can prepare menus to suit any youngsters attending the wedding. Our in-house Chefs use the best of fresh local produce wherever possible and are happy to discuss your requirements to create your perfect wedding menu. The hospitality team will support you throughout the planning and on the day of your wedding to make it easy for you and ensure everything is as you want it to be.